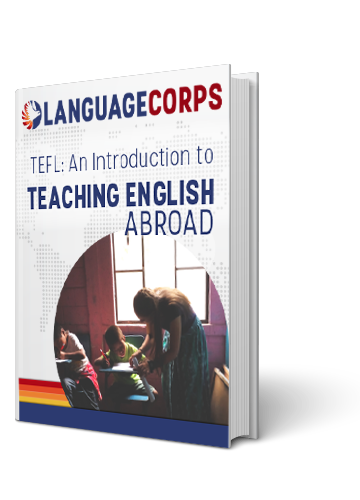 Congratulations – you’ve made the decision to teach English in a foreign country! Now you may be struggling to decide what country would be best. So many options and so much advice from family, friends and perhaps even strangers. Anyone who’s thought about teaching abroad at all has probably considered the culture and cuisine of Italy, the night life and beaches of Spain, or the tropical paradise of Costa Rica. But perhaps fewer of you have considered the rewards of teaching English in Asia. With its intoxicating combination of 1st and 3rd world experiences, its unique culture, and the opportunity to truly make a difference, SE Asia is more than just the most lucrative region of the world for ESL teachers. While it’s true that Europe and Latin America offer many popular choices, but here are a few reasons why teaching English in a lesser traveled country could be the experience of a lifetime and the perfect fit for you. Go beyond the guide book! Your experience will far exceed anything written there. When you teach English in Asia, your cultural experience will be as authentic as it gets. You will be welcomed into the lives and homes of the country’s people, an opportunity few people get to experience. Challenge yourself! You will be challenged—and because of this you will grow and adapt. Asian locations are different from home, no doubt about it. But the obstacles and challenges that individuals overcome while they teach English abroad are some of the most rewarding and fulfilling experiences. They help you become more open-minded and understanding and teach you a lot about yourself. The need is great! English teachers are much needed in developing countries such as Thailand, Vietnam, Cambodia, Taiwan and China. You will have the benefit of teaching English to students who are eager and excited to learn what you have to teach them. And there’s no doubt that you are helping to make a difference in the lives and livelihoods of these people. The finances work! Choose the right location, and you can make a fairly decent living teaching English abroad. In many Southeast Asian countries the cost of living is quite low and you can stretch your dollar pretty far. Live well, eat out, and spend your free time traveling to neighboring cities or countries or even beautiful secluded beaches. Much better than sitting at home while you English in more popular European country because travel is expensive and your budget doesn’t allow for more. Learn Something new! You are there to teach but there’is no reason why you can’t pick up the native language of the country. What better way to learn a new language than being completely submersed in the country and its culture? You could return to the United States speaking Mandarin, Khmer, Vietnamese, or Thai. So go for it! Take that less-travelled road. Whether you decide to teach English in Thailand or another foreign country, international education jobs in Asia are a very rewarding and fulfilling experience of a lifetime.